The PRG300 instrument air filter regulator is designed to provide clean, accurate pneumatic pressure to instruments, valves, and other automatic control equipment. 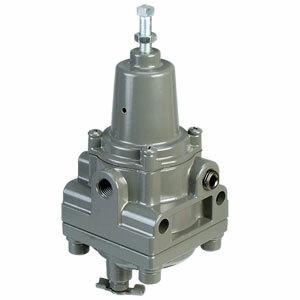 This filter regulator has been proven to provide accurate operating characteristics under variable conditions. Durable materials and a standard epoxy paint finish provide long lasting corrosion resistance in harsh industrial environments. Note: Each unit comes complete with operator's manual.